Chrichton's World: Review Casino Royale (2006): The making of a human bond. 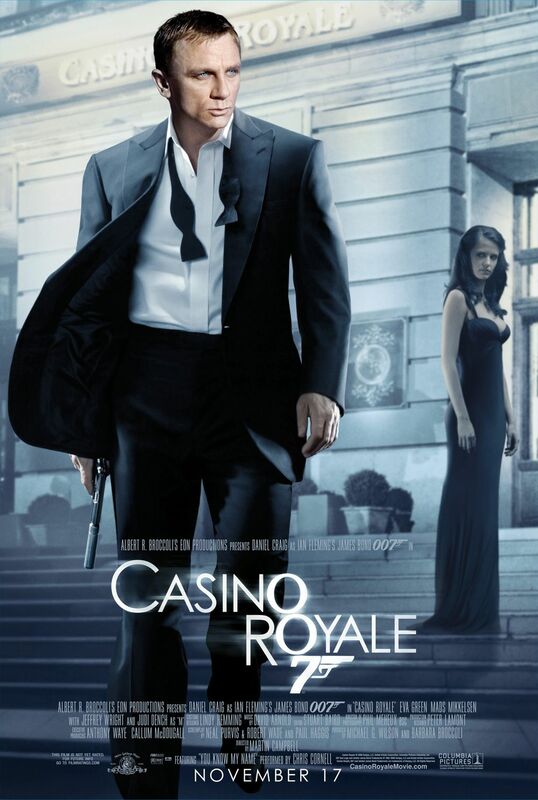 Review Casino Royale (2006): The making of a human bond. The first time I heard about this remake i was a bit skeptic. Later when I found out they would place the story in the present time I could see the possibilities. I must admit that I was disappointed the first time I saw this movie. But I understand why they had to change the Bond formula. Die Another Day was a fun movie but even for a Bond movie way over the top! Still a Bond movie has to contain gadgets, outrageous stunts and a lot of action. Since these are what make the movies stand out from other action adventures. Casino Royale has dismissed these and gone are the typical trademarks. So what is left? A new Bond, that is more realistic than his predecessors. James Bond has to rely more on his own strength and intelligence than before. And because of this he does make mistakes. This makes him very human. That aspect does deserve praise. After some considerable thought I think it was the right course to take. It's nice to see a realistic Bond handling matters. I never had doubts about Daniel Craig, I know he is a very good actor. And he is the main reason this Bond movie works! He actually saved the movie. A lesser actor couldn't have pulled of what he did. He managed to be vulnerable and human and at the same time be masculine and rough when needed. People don't seem to realize that this actually is Bond's first mission and that this movie is the prelude of the Bond we know from the previous movies. Daniel Craig makes this transformation very believable. As you can see in the end he finally has become 007. I know that for most it will take a while to get used to the new concept. But I think Craig has proven himself to be a very good Bond. It's a shame that he doesn't want to play the role anymore. Especially since he was awesome in Spectre. If only the movie itself were also.